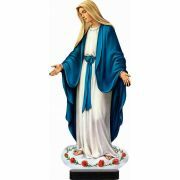 Show off the love you have for your Catholic Faith with this unique standee! 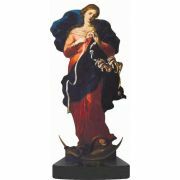 This solid wood, full ..
Show off the love you have for your Catholic Faith with this unique standee! 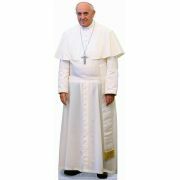 This full color, one-..
Take your picture with the Pope! 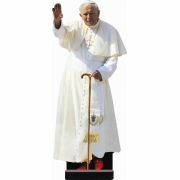 This Pope Francis standee is no cardboard cutout! Professionally mo.. 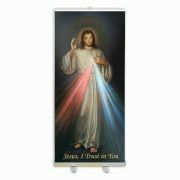 This banner stand is 78" tall by 33" wide and features the image of the Divine Mercy. Fully retract.. Appropriate for hanging up to 3' W Banners. Each set included (2) 36" L cord, 96" L cord and (2) pol.. He Is Risen Lenten Series Banner Polyester 23" W x 63" H.. 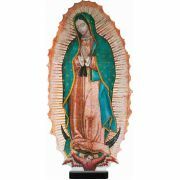 This banner stand is 78" tall by 33" wide and features the original Vilnius image of the Divine Merc..
-- Digitally printed polyester canvas -- 23" x 63".. Description: If anyone would come after me, he must deny himself, take kup his cross and follow M.. 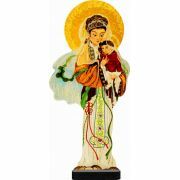 Description: An extraordinary valueCan be easily assembled on standard banner pole Wipes clean ea..
Take your picture with the Pope! 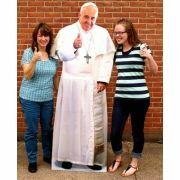 This Pope Francis standee is no cardboard cutout! Professionally .. 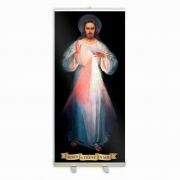 Pierced For Our Transgressions Lenten Series Banner Polyester 23" W x 63" H..
Indoor Church Banner Hangers - up to 2 ft. Appropriate for hanging up to 2' W Banners. Each set included (2) 24" L cord, 72" L cord and (2) pol.. Description: 2014 Miriam Hahn Designs - Licensee Christian Brands -- Digitally printed 600D pol.. 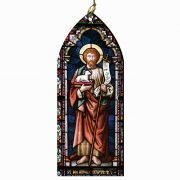 Beautifully depicting the Passion of the Christ, each station in our banner set offers a meaningful ..
Set includes LS773, LS772, NS656.. 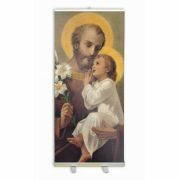 This banner stand is 78" tall by 33" wide and features the image of St. Joseph. Fully retractable a.. Yesterday's timeless art is reawakened by today's technology. Nelson laser-cut wood ornaments utili.. 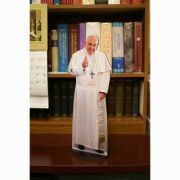 Available in 3 smaller sizes as glossy wood cutouts, Pope Standees are perfect for adorning any shel..
Show off the love you have for your Catholic Faith with this unique standee! 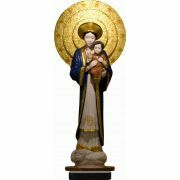 This solid wood, full c..
Show off the love you have for your Catholic Faith with this unique standee! This standee comes eith..